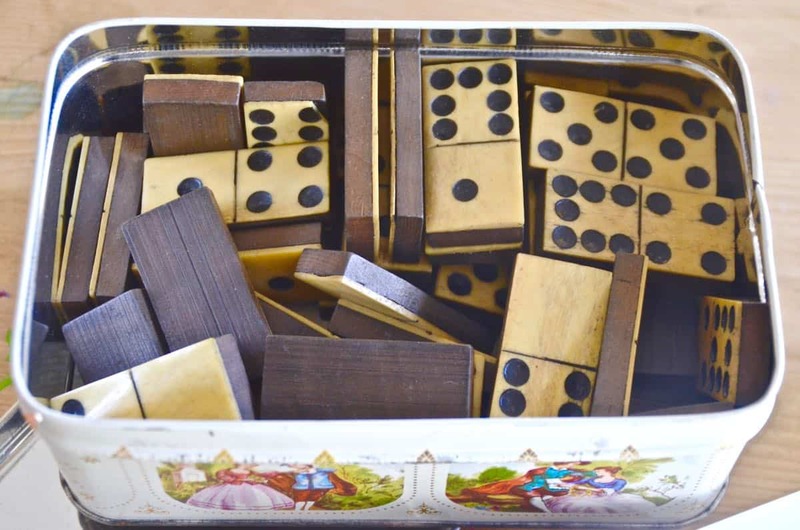 Had there been a barrel of these, I would have bought them… but alas, the flea market only had one small tin box of old beautiful dominoes. 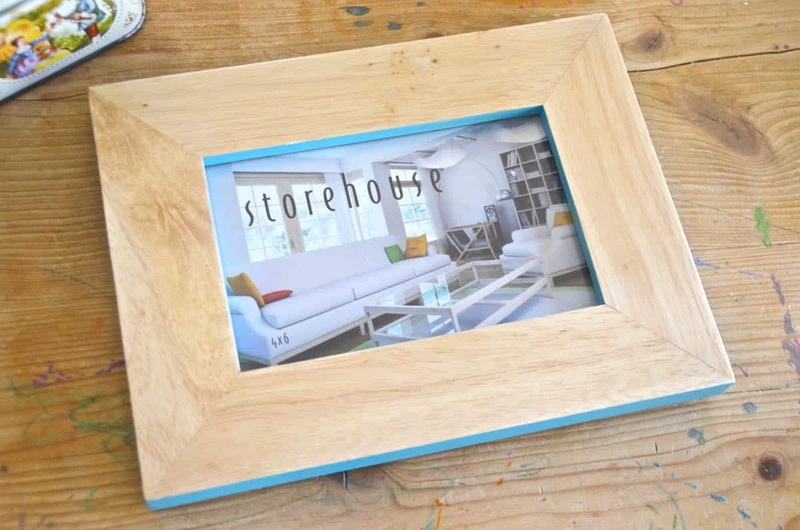 Juuuust enough to make on perfect picture frame! 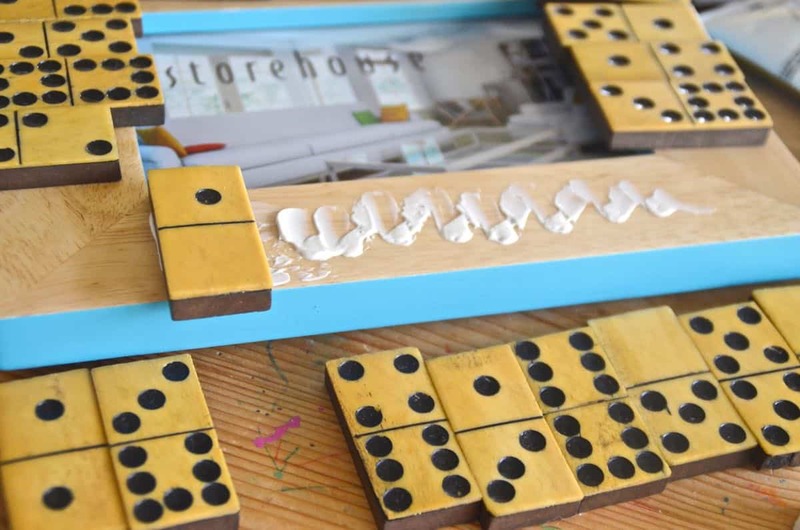 I had some obvious ideas for the dominoes, but double checked with Pinterest first. 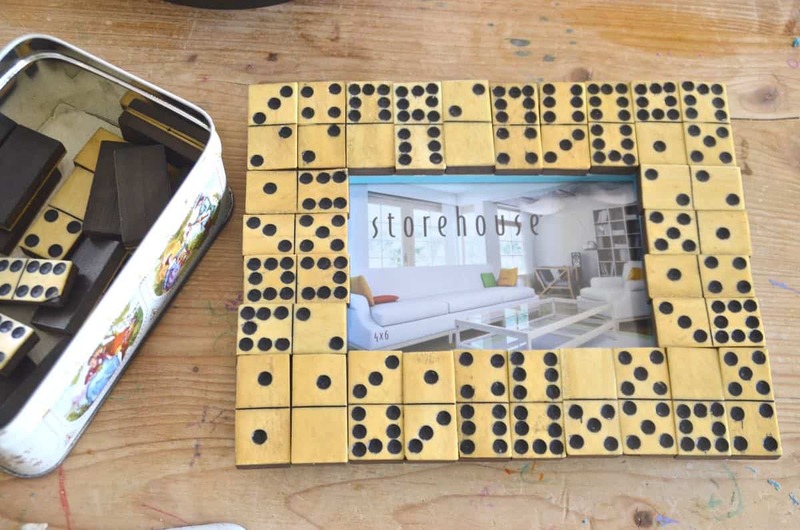 Most of the links were for domino games or how to make your own dominoes… Soooooo, my basic idea it was: a picture frame. Again, I was limited by the number of dominoes, so I settled on a smaller 4 x 6 frame. 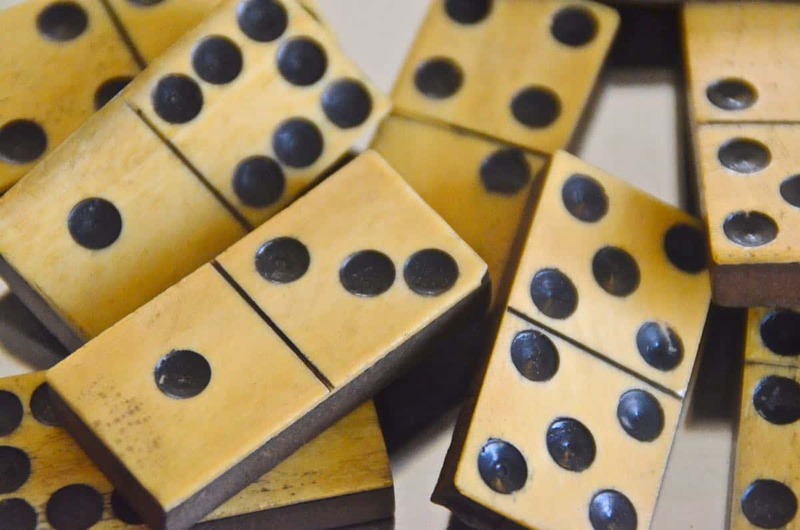 I laid out the dominoes two ways and took pictures to see which I liked more. 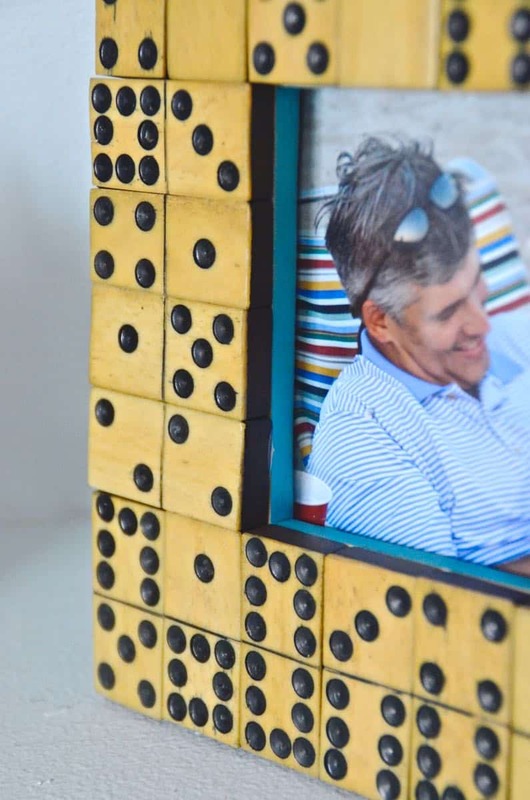 Liquid nails applied to the frame will hopefully keep those dominoes stuck 4-eva. 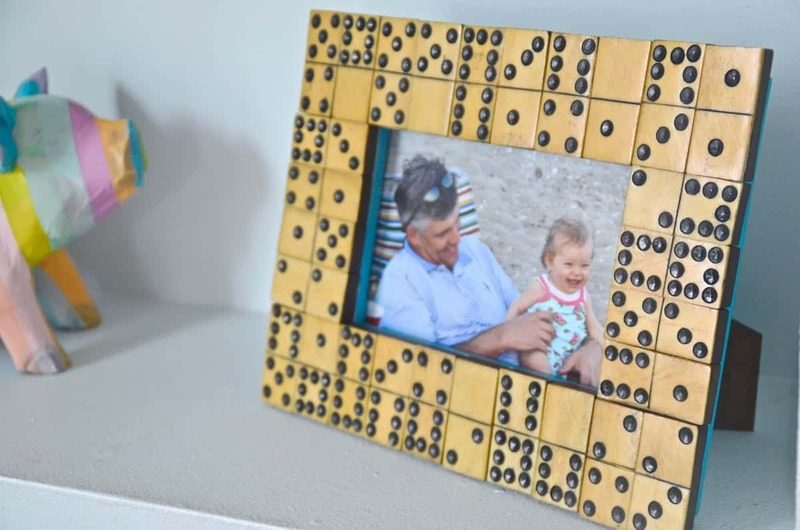 It may not be the most revolutionary use of these gorgeous dominoes, but I love the simplicity and the beauty of our newest picture frame! Cute!! I love the patina on those dominos. They all have this amazing worn quality to them that I loved. Perfect! 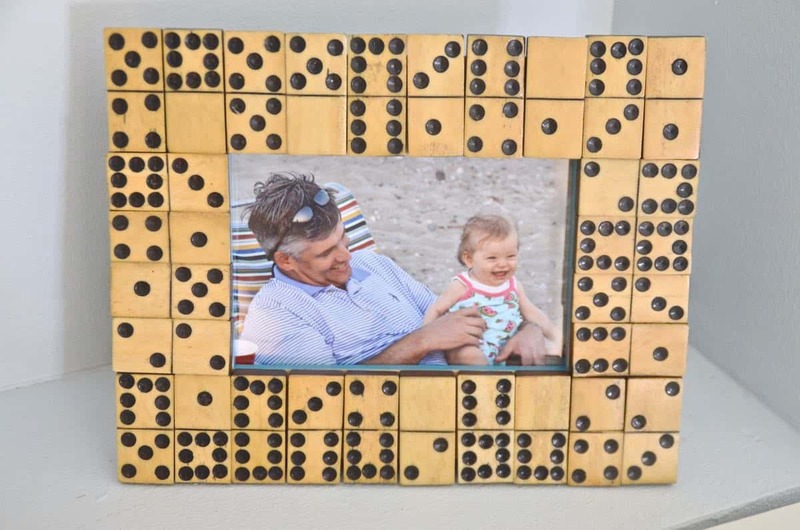 This is a perfect way to frame old pictures of my great-grandparents… they loved playing dominos together.